A hospital metaphor brings a bit of understanding to Leviticus. I have always had a difficult time understanding and relating to the Book of Leviticus. After all the family drama in Genesis and the arduous escape from slavery in Exodus, it’s hard to sustain attention for the laundry list of priestly rules concerning the nitty-gritty of living bodies and their discharges. Frankly, I found the minutiae of sacrificial laws boring and the details of purity laws offensive and gross. Leviticus recently came alive to me when I read Dara Horn’s latest novel, “Eternal Life.” In most of her writing, Horn plays with concepts of permeability of time, generational patterns of behavior and the journeys of the Jewish soul. One of Horn’s gifts is her willingness to contemplate modern technologies in the context of ancient innovations. I held on to a snippet of “Eternal Life” in which Horn compares the priestly laws of purity described in Leviticus to the elaborate rituals of a modern-day medical lab. 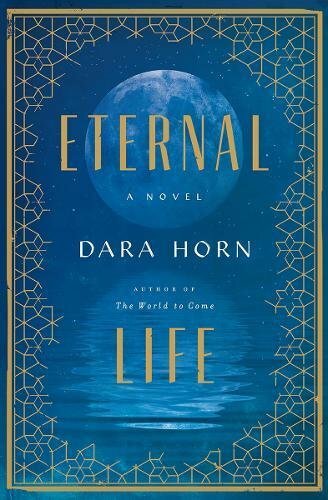 “Eternal Life” is Dara Horns latest novel. Suddenly the halls of the Holy Temple didn’t sound so different from the hospital floors where the veil between life and death is lifted and people find themselves in liminal space. In both places, there is an acute awareness that human life is infinitely precious. In both places, there is a preoccupation with protocols, checklists, and boundaries designed to sustain the life of the individual and the community. One of my chaplaincy mentors likened the transition in and out of liminal spaces or the times when we encounter the sacred, to scuba diving. I understood the metaphor well as I am still learning to gauge the right pace at which to accompany people in their soul work. Diving deep requires special gear and training. Plunging into the depths of the ocean is an amazing experience that opens up a fascinating, beautiful world otherwise inaccessible to us land creatures. But there are also precautions to consider. When scuba diving, suddenly going too deep can cause a great deal of pressure buildup and discomfort. Spending too much time in the deep end can cause drunklike behavior and confusion. And returning to the surface too quickly can cause decompression sickness and even an aneurysm. So it’s important to find the right balance and pace at which to travel and always with a buddy nearby, just in case something funky happens. It’s important to know where the boundaries are and how to take care of yourself as you transition from depth to surface and back to depth. One of my favorite texts in the Torah is one in which the Israelites, a bedraggled mass of traumatized people who have lost their names, are given the status of a holy nation of priests. G-d has a message for the recently liberated slaves: You are holy because I am your G-d, and I am holy (Leviticus 19:2). What strikes me about this passage is that the designation of holiness is not reserved for the powerful elite. It is not bestowed upon the few who pass a test, nor is it doled out to those who are without blemish. The status of holiness is inherently part of what it means to be human in relationship with G-d. So grab a buddy, a mentor, a rabbi and go exploring the depths of your soul. What does it mean to you to be part of a nation of priests? What are your offerings? How are you living your holy life? How do you transition from surface to depth and back? What are the rituals for you to take care of yourself? Go ahead and take the plunge.